What do I do if my husband won’t listen to me? My mom? My friend? My daughter? I hear this question all the time. Someone recognizes the possibility of depression, anxiety, ADHD in a friend or relative, but the other person just doesn’t see it. They refuse to go see someone for help. What do you do? You keep talking to them. It is quite common for individuals to be unaware of a mental health problem they may have or to actively deny that such a problem exists. Sometimes it takes hearing it for the tenth or even the 100th time before someone listens and seeks care. Even though you may feel you’re not being heard, you may be the one person who’s willing to plant the seed and start that person thinking about getting help. Finally, you’re not alone. If you are worried someone in your family or group of friends is seriously ill, at risk of hurting themselves or hurting someone else, call for help. Most cities in the United States have a 24 hour suicide hotline, and nationally, you can call 1-800-suicide. There are people trained to help you with this, even if your friend or family member won’t call, you can and start the journey towards mental health. This is a tough subject to write about. Having suffered from depression for so long, my wife and my family have always wanted to know what they could do to help. I know it is hard for them to watch me suffer. It's tough, but just having people that care about you and support you makes a huge difference. Knowing you aren't alone is worth more than I could ever express in words. This is a really important subject. I have been a self-described "therapy pusher" and have managed to get people help who desperately needed it seek help. Some of what I did was reframe the entire issue from who they are, what is wrong, and what psychotherapy (or drugs) do. I also demystify the act of FINDING a therapist, the amazing resources for sliding scale help, and the reality that they are WORTHY of getting help and feeling better. 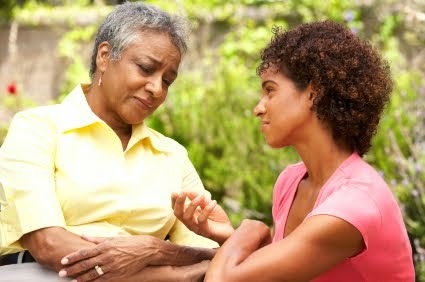 In some cases, it might be helpful to ask or pay a mental health professional to attend your relative at home. It may be expensive in some countries, but others offer this service as a public health care. If Mohammed will not go to the mountain, the mountain must come to Mohammed. I work for a mental health agency and I run family support groups. Many individuals come in with little hope left because their relative refuses to seek help despite the ramifications it has on their lives. Oftentimes, when people become increasingly psychotic or uncontrollable, families will not call the cops because they don't want to cause legal trouble for their ill relative. Luckily, in cities like Chicago, there is a crisis intervention team (CIT) of police officers who are trained to deal with mentally ill individuals. Instead of arresting or demoralizing them, the police officers take the individuals to a hospital to get a psychological evaluation, which opens the doors to many who often refuse the help. It is also a way for them to get on meds if needed. It is great that is in Chicago, but I live in the Temple, Texas area and I haven't heard of such CIT of police officers here.My son is 31 and he appear to have mental illness issues. He has no friends, doesn't hardly speak to anyone, stays in his room and just watch television pretend to fill out job applications, and when suggest to get evaluated for help, he will say that he is alright! He has not had a job for going on 3 years. What can I do? I feel trapped and can't seem to get help for him! Comments are reviewed before posting, and comments that include profanity or other inappropriate material will not be posted. The comment section is not intended as, and is not, a substitute for professional medical advice. All decisions about clinical care should be made in consultation with your treating physician. If you need help with a mental health issue, please visit our resource page. The Healthy Minds. Healthy Lives. blog is the American Psychiatric Association’s online resource for mental health issues. The information posted on the Healthy Minds. Healthy Lives. blog is not intended as, and is not, a substitute for professional medical advice. All decisions about clinical care should be made in consultation with your treating physician. How Did You Know You Had Postpartum Depression? Help Healing Heroes #WinBigger with eBay!